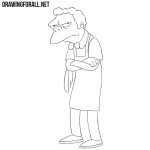 In the Simpsons there is a huge number of different characters, many of which are extremely caricatured and stereotyped. 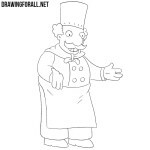 One of these is Fat Tony – a stereotypical Italian mafia boss who spends a lot of time in a pizzeria of Luigi Risotto and speaks a lot of stereotyped phrases. 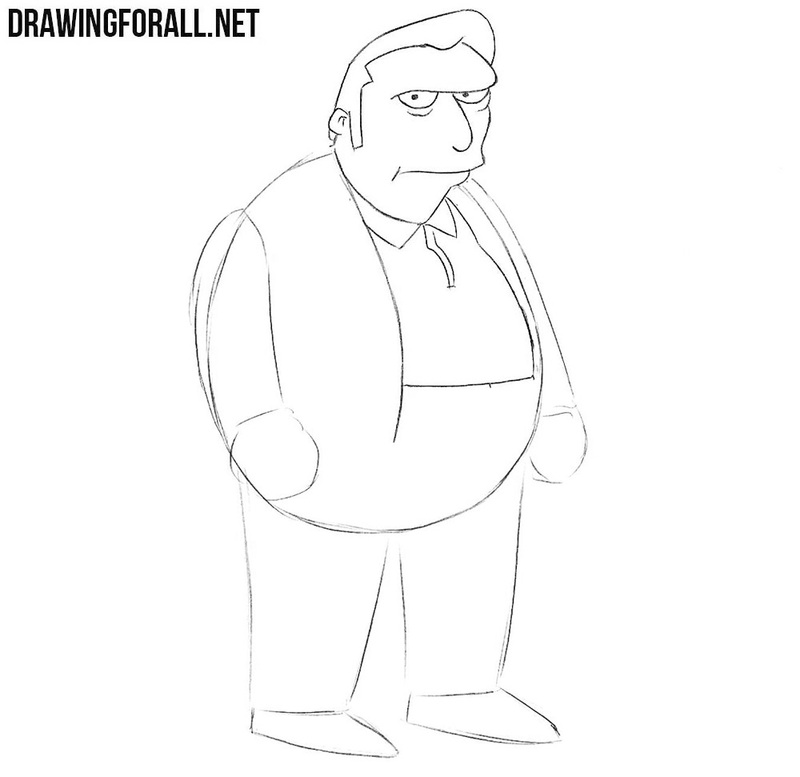 So let’s get down to this drawing tutorial and learn how to draw Fat Tony. 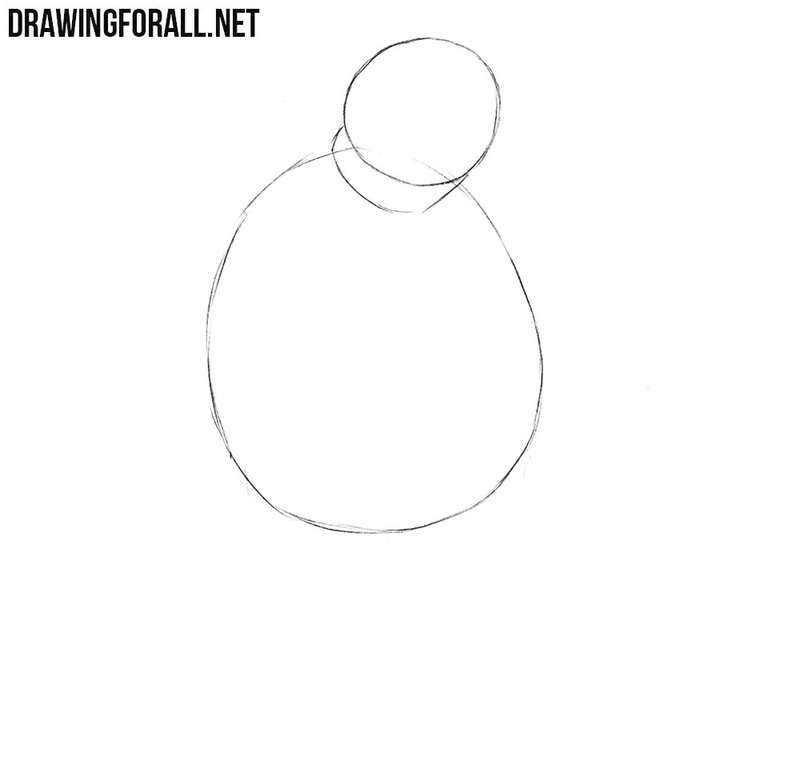 First, we sketch out the outlines of a round head, neck and fat torso in the form of a large oval. 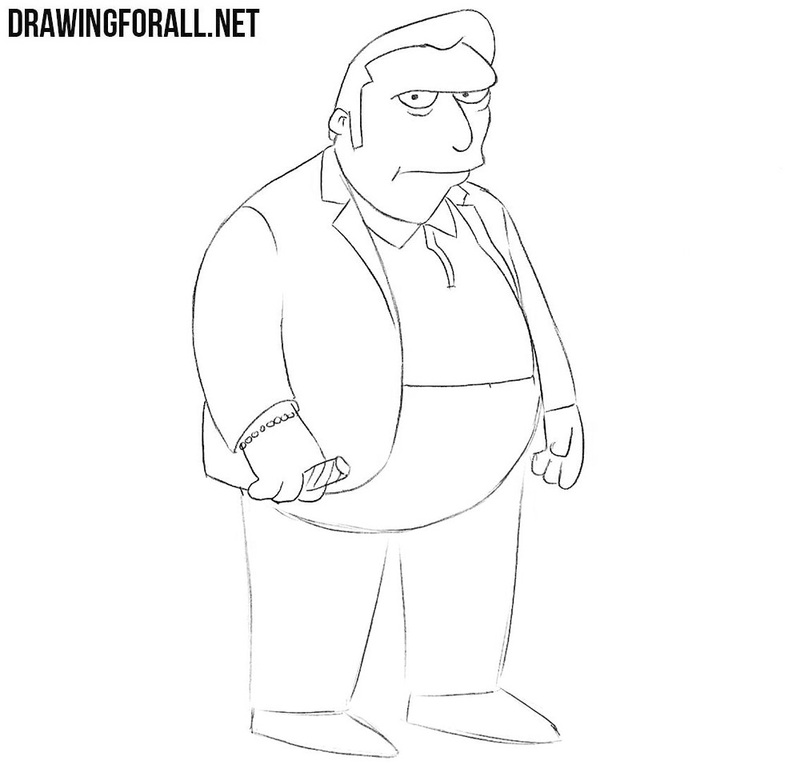 Next, we sketch out the arms and legs of Fat Tony. Note that the neck should be tilted slightly forward. Now we draw semi-circular eyes with frowning eyebrows. Next, draw a drooping rounded nose. Draw pupils in the form of dots and folds below the eyes. Next draw the outlines of the cheek and mouth. Draw out the outlines of a sloping forehead and a high hairstyle. 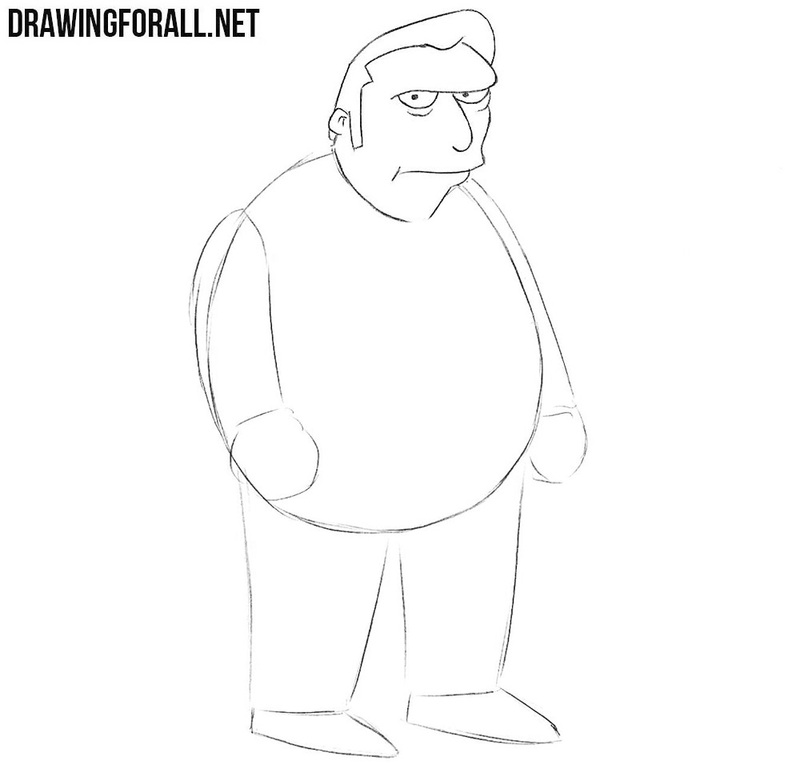 Next, draw a small ear and a thick neck. 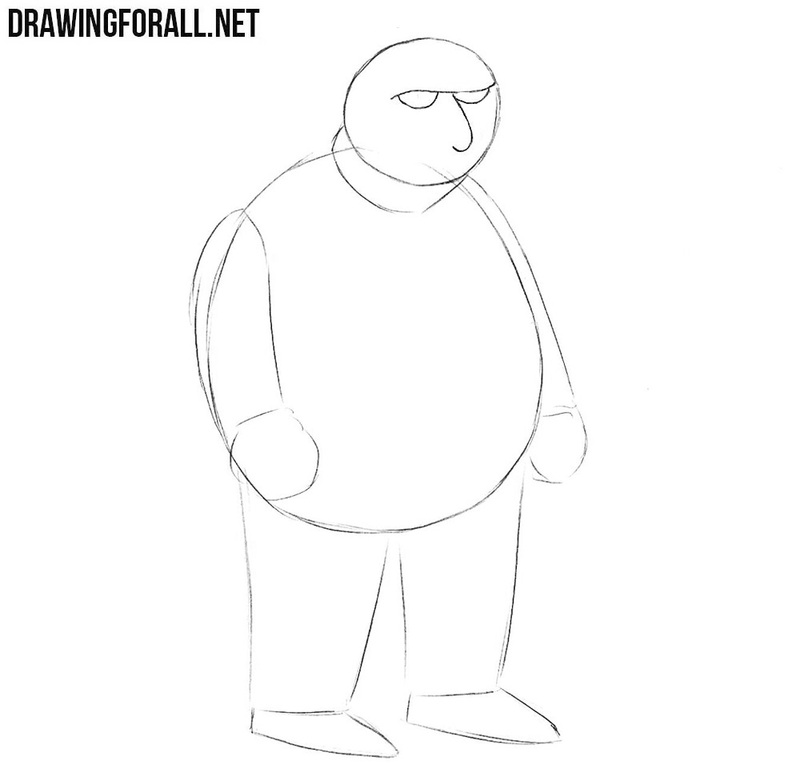 Now let’s move on to the torso. Draw out the outlines of a round belly and the elements of clothing on the chest. Draw out the jacket and details of the jacket. Next, we draw arms with a cigar between the fingers and a bracelet on the wrist. 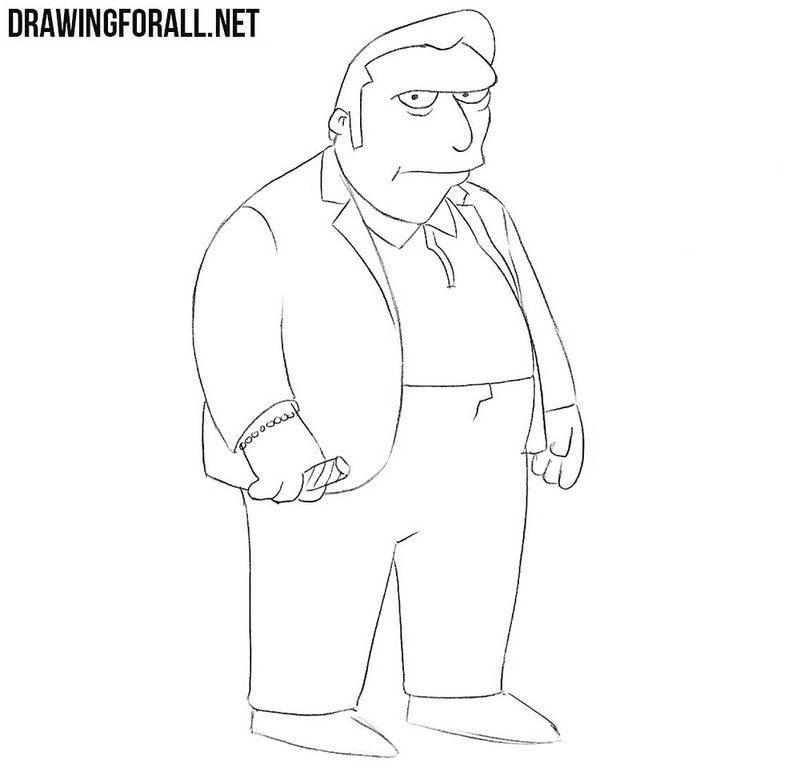 We pass to the lower part of the body of Fat Tony and draw out the outlines of the pants with the help of long lines. And the easiest step in that we just need to draw the shoes of Fat Tony. As you could see, this lesson was very simple. 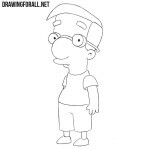 And all our drawing articles about the Simpsons characters are just as simple. 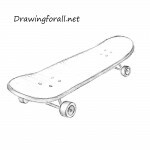 So go to our category “Cartoons” and learn how to draw with our drawing lessons.